Don’t you just hate it when you’re rushing for an event, but you just can’t find a available spot to park your car? So, you either end up paying loads of cash to secure your lot in some carpark via season parking, or for the rest of us, just having to resign to the fate of going through that ordeal all the time. 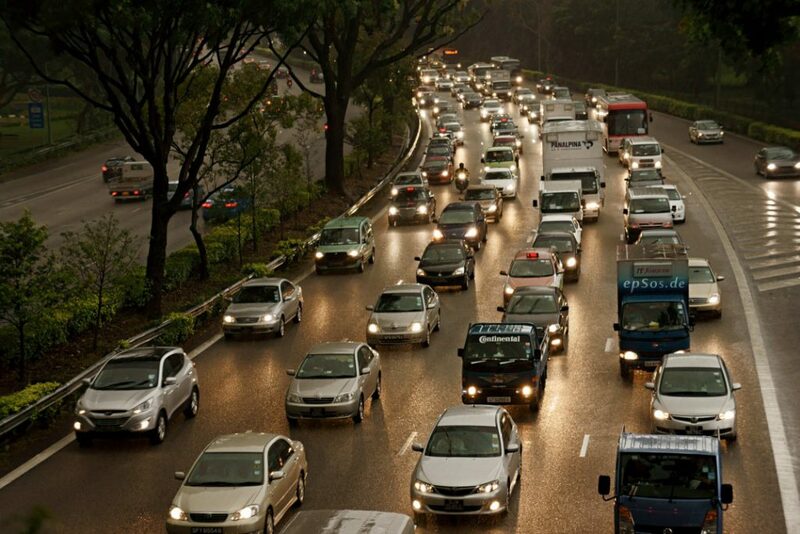 Well, a Singaporean startup has heeded our silent cries and come up with an app that will potentially be our saviour on the roads. Spotizen was created with a simple function – to help users find the nearest parking lots available to them. In an interview with e27, founder of Spotizen, Karthik Kumaraswamy, explains that the app differs from competitors due to the fact that it is software-based. The app uses data collected from the Singapore Land Transport Authority (LTA), Urban Development Authority (URA), and users’ phones. It then combines the information to predict availability of lots in current time, as well as possible future demand. “We found close to 40 per cent of parking lots that were Coupon Parking locations had no electronic display of availability. So, we wanted to build a simple solution to help citizens find real-time availability information on their mobile,” he said. The Spotizen team approaches the problem from a software and data analytics angle to produce parking information that can actually be used. Using Spotizen is pretty easy. The moment you open the app, it requests for permission to use your location settings. Once granted access, it shows you a map of current carparks in your vicinity (which can also be viewed as a list if desired). The list is broken into two categories – distance, and price where users can pick what they want to look for. The carparks are categorised into three different colours, so makes for easy viewing especially when your concentration is on driving. Red is for those with no more lots available, yellow for those that are filling fast, and green for those with many available lots. Percentages of lots that have been used up will also be displayed, for those of you who enjoy crunching numbers. 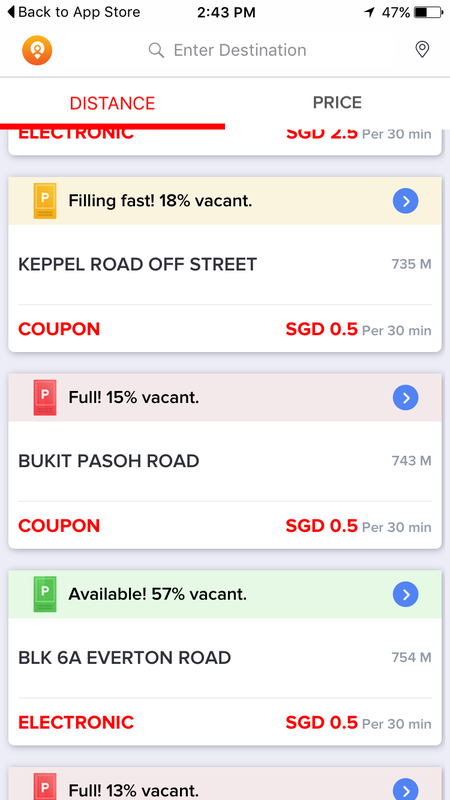 It also shows you which carpark requires a coupon, and which doesn’t, as well as how much it costs to park in those places. 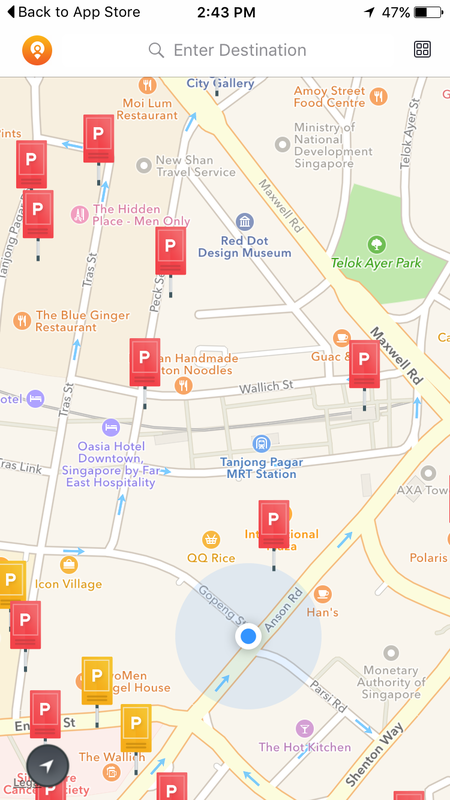 When a carpark is selected, the app provides users the option to either use Google or Apple maps to find their way to the designated carpark. Spotizen, which launched in June 2016, has coverage of over 400,000 parking lots across many Housing Development Board (HDB) carparks, shopping centres, commercial complexes and so on. Kumaraswamy informs that he and his team plan on making their data on Spotizen available on various platforms via smart AI bots and APIs. “Our goal is to make it really easy for users to find parking availability information anytime anywhere, and not force users to have to depend on one channel,” he says. According to Data.gov, the number of registered licensed drivers we had in Singapore 2015 was almost two million. If we take into account, most of 2016 has already passed, we would have potentially passed the two million mark. 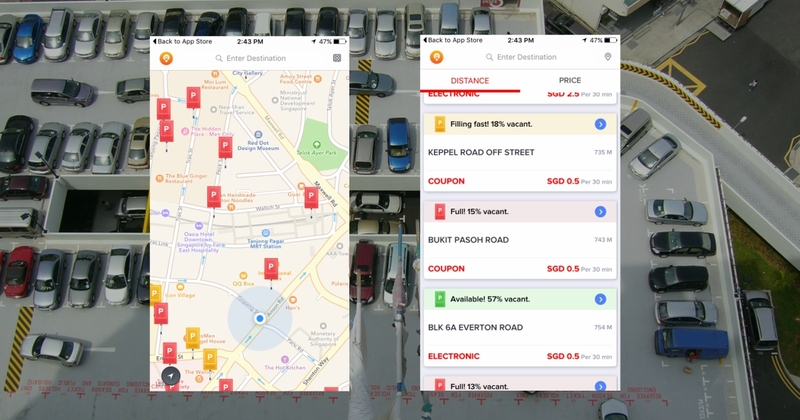 With an app like Spotizen, it helps to ensures that drivers in Singapore are always able to find a carpark no matter where they are, instead of needing to resign to their carpark-less fate. Spotizen is currently available on both Android and iOS.